The best Paintball in MN can be found in Jordan, MN at Action Packed Paintball Games. 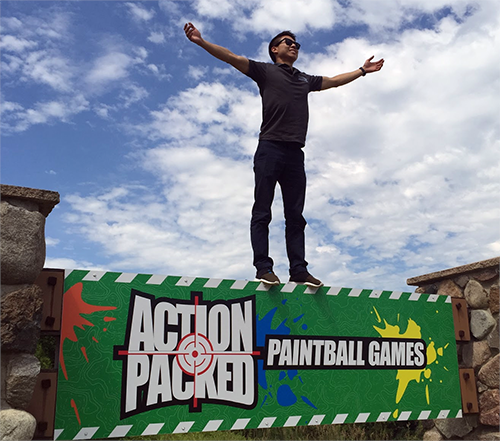 One of the oldest paintball fields in MN, Action Packed has grown to become a top destination for families looking for fun things to do in the Twin Cities. Paintball is an engaging sport that you can play with a large or small group of people. Whether you’re a group celebrating a birthday party, or just a couple of people looking to play with a larger group, Action Packed Paintball has a session just for you. Walk-on play sessions are available on weekends. Reservations are also welcome and are available any day of the week, during the the paintball season. For the most up-to-date information of our schedule, check out our hours page. We are the only facility to exclusively offer low impact paintball in MN. The low impact paintball format uses a small ball and lower velocities to reduce the felt impact of a paintball by as much as 60%. Gone is the sting of the traditional paintball. Young players and timid players will find the low impact paintball to have a similar impact as a Nerf dart fired at close range. 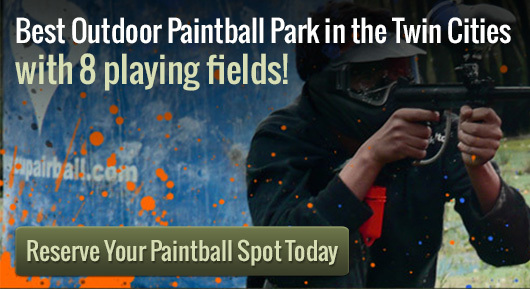 Ready To Try The Best Paintball in MN? If you’re ready to try the best paintball in MN, round up a group of friends and start making plans for your paintball outing. Any size group can play paintball at our facility. The larger the group, the better the fun, so don’t hold back on the invites. Reservations can be made using our online reservation tool, or you can give us a call at 952-492-6776. We’re more than happy to answer any questions you might have. More information about hosting a party can be found on our reservations page. Many people head to Action Packed Paintball Games in the greater Minneapolis area for an engaging game of paintball given the fact that it is easily one of the best outdoor paintball parks in the area. Offering plenty of engaging obstacles and hideouts, the park offers a challenge to novice and experienced players that make every round more engaging than the last. Try out one round of paintball at the park and it is likely you will be back for me within a very short time frame. We can support private parties of over 100. We are capable of running exclusive paintball games 7 days a week, from sun-up until sun-down. Remember to call us at 952-492-6776 in case you have any questions or if you would like to book a time.